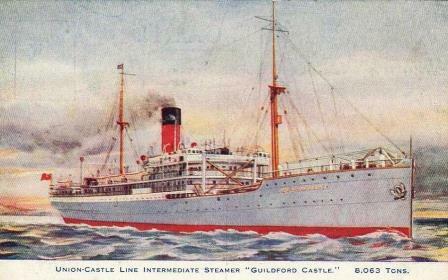 GUILDFORD CASTLE was built in 1911 by Barclay, Curle & Co. at Glasgow with a tonnage of 7995grt, a length of 450ft 7in, a beam of 56ft 2in and a service speed of 13 knots. 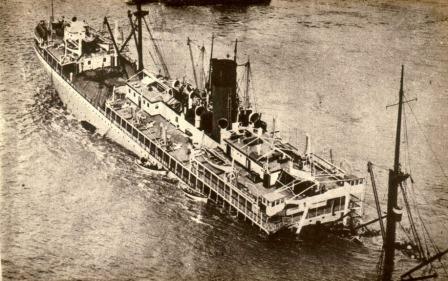 Sister of the Gloucester Castle and the Galway Castle she undertook the first intermediate sailing which terminated at Mauritius in July 1914. 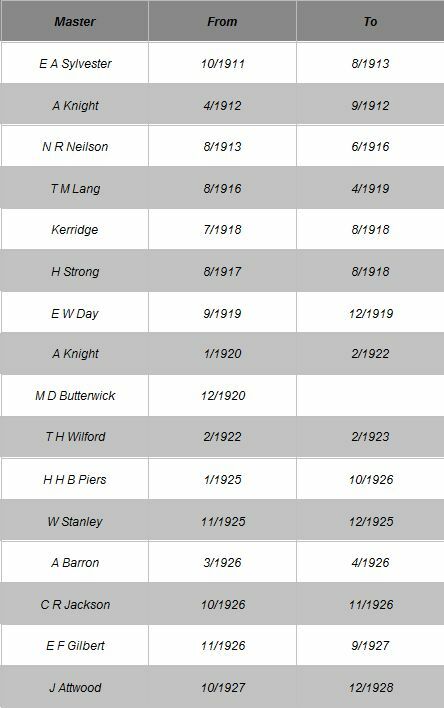 When the First World War broke out she participated in the first troop convoy to Europe and on 22nd September 1914 was commissioned as a hospital ship with 427 beds. 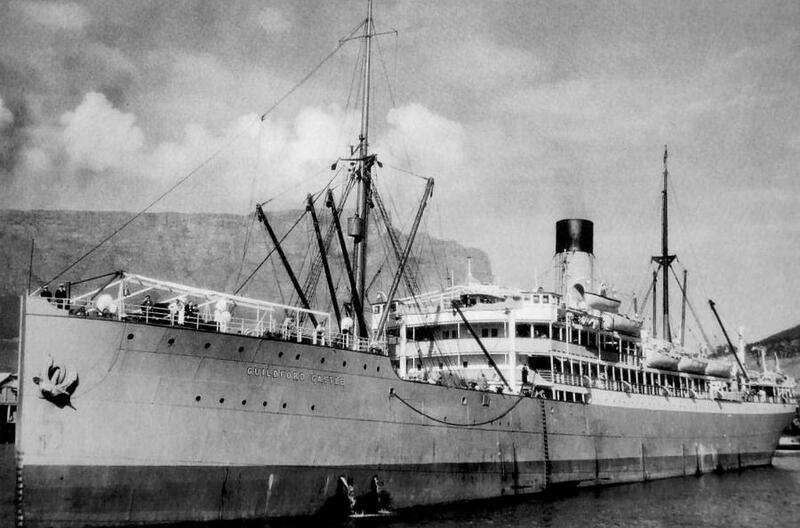 During the German West and East African campaigns in 1915 she remained in Southern African waters where she was more occupied with coping with disease rather than war wounds. 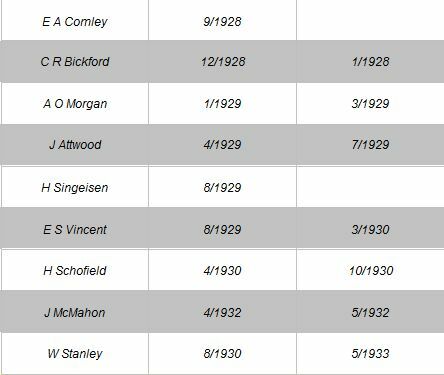 On 10th March 1918, while inbound to Avonmouth, she was hit by a torpedo which failed to explode. She was decommissioned on 9th November 1918 and returned to commercial service initially on the Intermediate service in 1920 and then on the round Africa service. 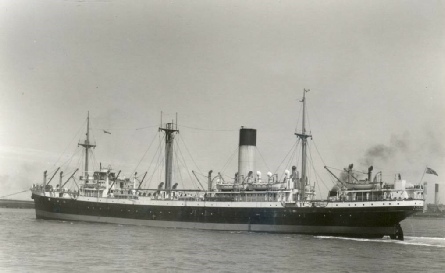 On 31st May 1933 she was in collision with the Blue Funnel ship Stentor in the estuary of the River Elbe when two people lost their lives, an accident for which the pilot was blamed. She was beached on the following day and declared a total constructive loss. It was whilst sailing from Hamburg for London that, on the 31st of May 1933, the Guildford's luck ran out. Whilst sailing "To Master's Orders, on Pilot's Advice", the standard (legal) entry in the Bridge Note Book, in the River Elbe off Cuxhaven, near Oste Riff, the "Guildford Castle", emerging from a fog bank, suddenly saw the Blue Funnel Line (Alfred Holt) ship "Stentor", on her way up to Hamburg, on her Starboard bow, making the "Guildford Castle" the 'give way vessel. The "Guildford Castle"s helm was put to port, the "Stentor" ploughed into the port side of the "Guildford Castle", leaving her badly damaged, she was beached to prevent her sinking. Three lives were lost, two deck boys and one of the cooks. There were 37 passengers aboard, these were transferred to the "Stentor" and other vessels and landed at Cuxhaven. 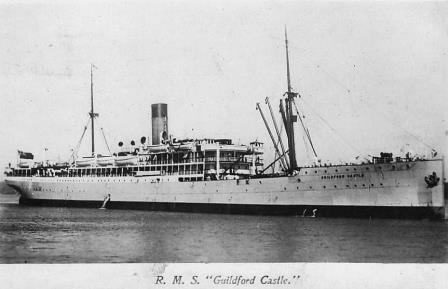 The "Guildford Castle", probably considering her age, was declared a constructive total loss. The collision was blamed on pilot error, but both the masters of the "Stentor" and "Guildford Castle" shared the blame. Although the "Guildford Castle" was beached, it is my understanding (O.G.K.) that her remains (possibly what was left after being cut up on site) were left where they were. I clearly recall the pilot, when passing this particular spot, giving the helmsman orders to steer for a particular beacon, and to ignore the magnetic compass (in those days the 'R' ships did not have gyro). The pilot always, by way of explanation pointed downwards, "vone of yours, ya!" It was the "Guildford Castle"s grave.